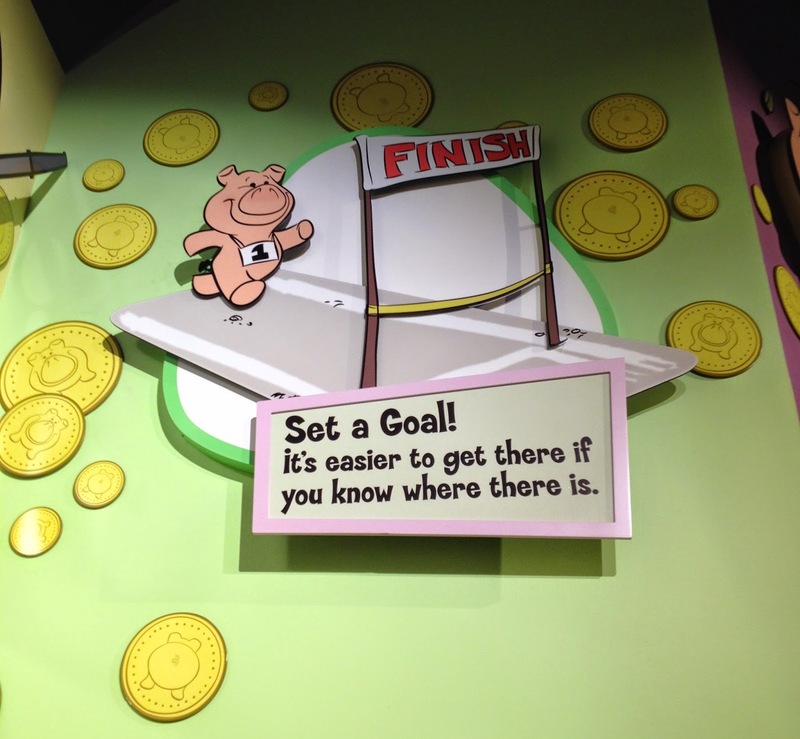 The Great Piggy Bank Adventure inside Innoventions West was always one of those attractions that I noticed, but never made time for. I always wanted to do it, but it was one of those things that would inevitably get bumped down the list of must-dos. During a recent visit, I decided to change that, and made sure I had it at the top of my list. In hindsight, I'm so glad I did- because alas, word recently broke that this experience will soon be retired. 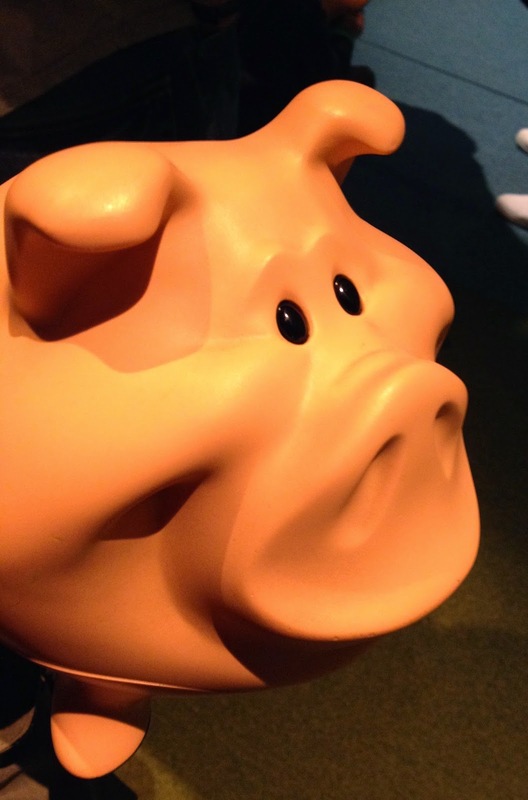 The Great Piggy Bank Adventure, presented by T. Rowe Price, is an interactive experience designed to teach about finances, saving, and spending decisions. It also features the most adorable pig around. Seriously, how cute is this little guy? At the start of your adventure, each participant is asked via touch screen to identify a goal they'd like to save toward. Choices include a dream vacation, college, a bedroom makeover, and retirement. Naturally, I chose the vacation. I received my porcine companion, and headed into the gaming area. Here, you travel from station to station with your pig, playing money-related activities, sending the pig through conveyor belts, tubes, and all kinds of fun experiences. The screen-based games are designed to teach saving and spending lessons. You have a chance to earn and save money through each activity, working toward your goal. But beware! A wolf is following along, trying to thwart your efforts, with pesky real-life situations that often derail savings. After you and your pig complete the activities, you take her to the weigh-in station and bid her farewell. She disappears inside the machine, and the total amount that you've earned toward your goal is calculated for you. The whole experience took about 15 minutes, and really was a lot of fun. Though geared toward children, it actively engaged and entertained this solo adult. But you know what I really appreciated about this activity? The ending. Instead of being easily rewarded with a vacation upon completion- my results after weigh-in showed that I wasn't even close to what I needed. My screen gave me the sage reminder, "It takes time." I think that's a good lesson, especially while standing in a vacation mecca in Central Florida! This looks fun! 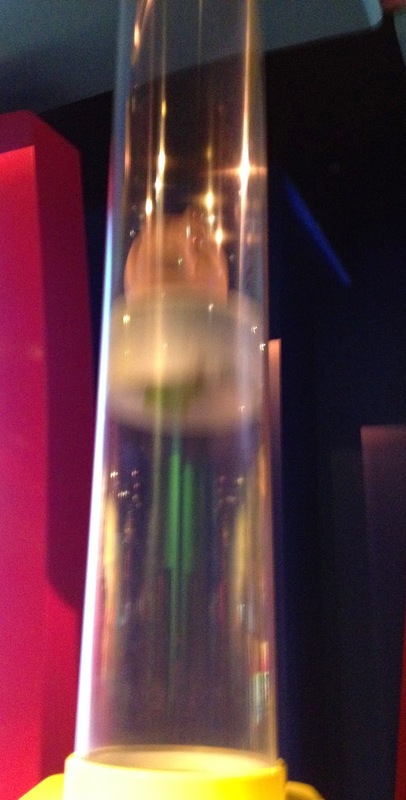 But it's tough to compete with Test Track and Mission Space...this would be great as a traveling educational activity at a local museum or library. Let it live!